Just in time for Summer vacation, a bit of knowledge can go a long way in making your photos shine. 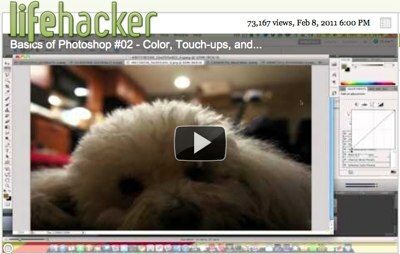 Here’s one of the best Adobe Photoshop tutorials I’ve run across. Yes, some things are over simplified, but for the average user: this will really help. Even if you don’t own Photoshop, the concepts presented will pretty much carry over to any decent image editing program. Some Photoshop alternatives can be found here. A Macintosh specific list can be found here. 2. Create a postcard, mailer or brochure that speaks clearly to your strategy. You can’t go wrong here. Your strategy encompasses your strengths and the deep needs of your customers. Your tactic is simply opening a communication channel with your customers. If your strategy is selling basic insurance product for the general construction industry, go back to step one. You’ve found that a niche market within the construction industry is resistant to economic turmoil, and you’ve created a strategic offering of products and services to appeal to that small segment. You’ve gained an understanding of the problems and concerns of companies within that niche. Now: Designing that brochure, writing that letter and even finding more like-kind prospects who will be interested in your high value proposition, becomes effortless. This isn’t about my needing to lose ten pounds, though that certainly woudn’t hurt. Instead, it’s about sleeping at night, and making sure my family is well cared for. It’s about waking up with a smile on my face and excitement for the day ahead. When all is said and done, what else counts? So many possibilites have briefly flashed through your mind. They’re part of a bright future just waiting to be lived, even if the path to that future isn’t completely clear. And there’s the big question: how to get there. So now it’s a new year, a new chance to finally make it happen… or at least to start the journey. “Put it in writing,” it is often said. That’s the only way it will ever get done. Tape it to your bathroom mirror, so it’s the first thing you see in the morning and the last you see before bed. Beyond that, here are more ideas in a great blog post I stumbled upon. Of special note is a tip to find support in a friend, co-worker, group or coach. Share your plan with people who will motivate you and keep you accountable, even when January is long past. Here’s my dare: Share your top resolution with the world! And add it as a comment below (and/or in the FB panel at right.) I’ll act as your accountability partner and check in with you in a few months down the line. Of course, you’re welcome to reciprocate and hold me accountable too! 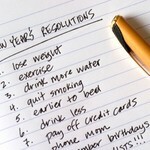 What’s my resolution? Get off the fence already! I’ve been juggling three major projects and really need to focus on one to move it ahead. IMO indecision = stagnation = frustration! That holds equally true for a brochure design or direct mail campaign. Only with clear direction can we reach our ultimate destination! A Happy and Productive New Year to you!